Generate Surveys on how your customers really feel about your company's workflows. Export TrekMarker workflows into SurveyMonkey surveys, and quickly gather empathy data from your customers. 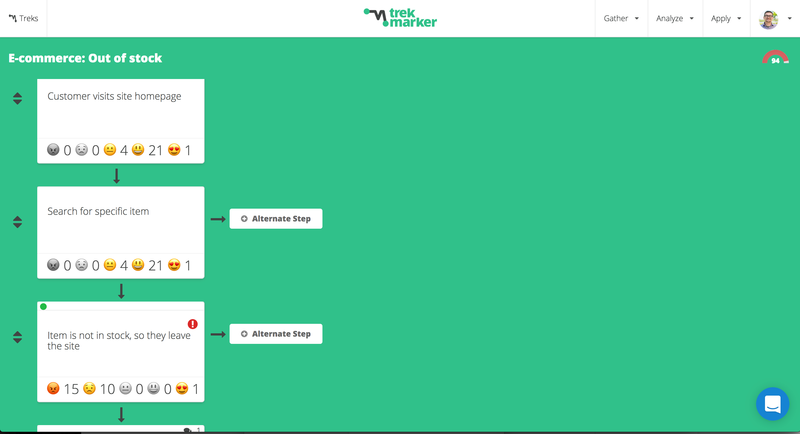 Create the workflow inside of TrekMarker "Treks"
Use SurveyMonkey to gather responses!